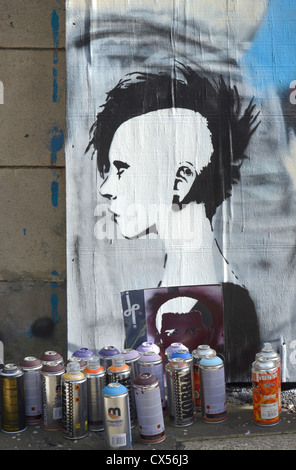 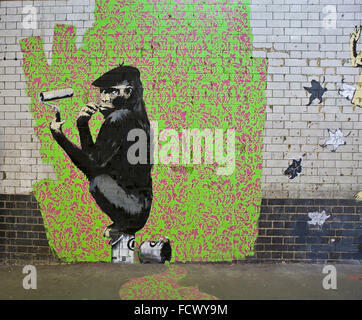 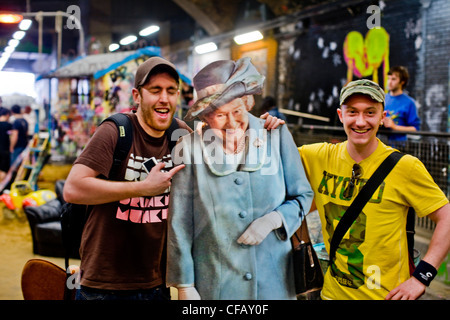 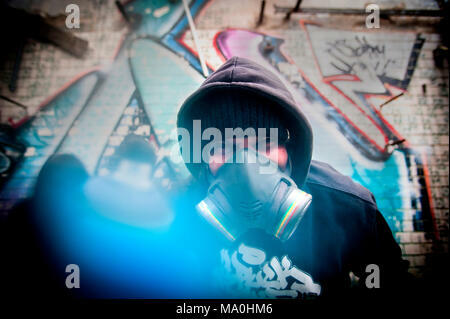 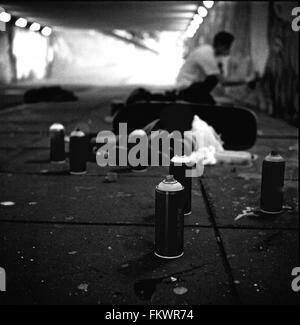 Graffiti art at the Cans Festival by Banksy appear with work by 29 other artists in a tunnel in Waterloo, London. 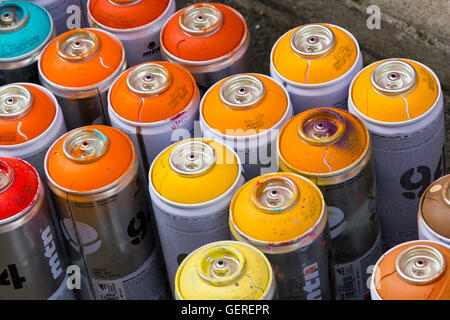 Kobra and Monster cans arranged in front of a piece of stencil graffiti on boards in New Street, Edinburgh Scotland, UK. 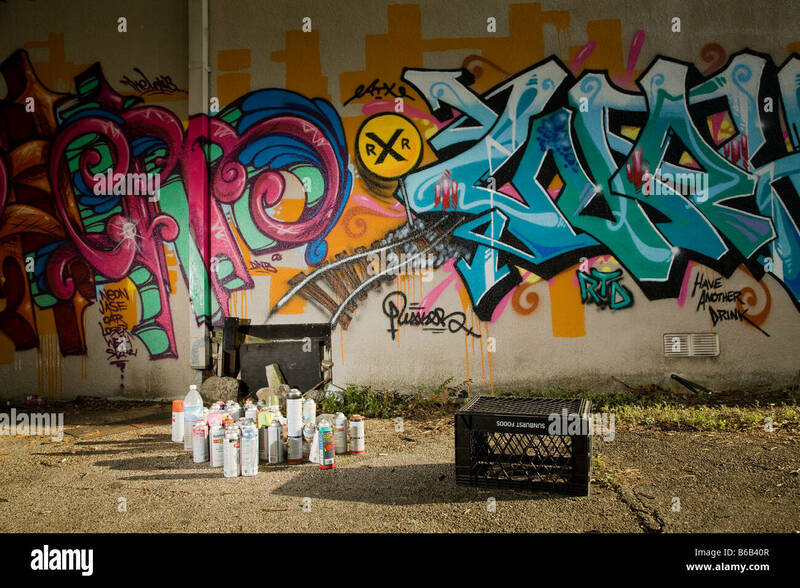 Graffiti sprayer in Miami for Art Basel 2014. 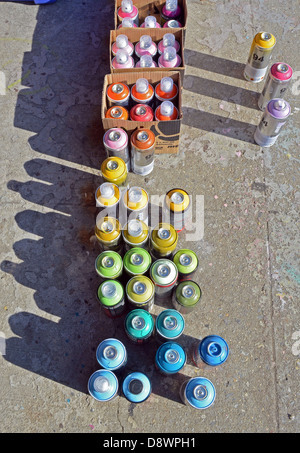 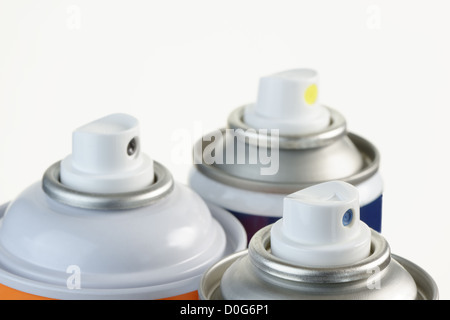 In the foreground the spray cans. 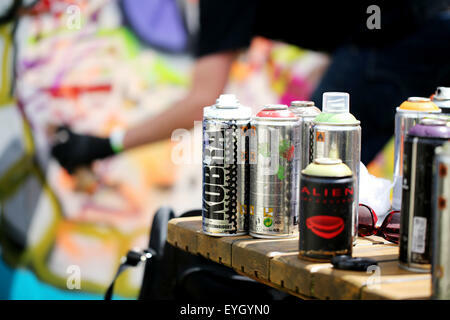 Cans of spray paint at Upfest (street art festival) in Bedminster, Bristol, UK, 23rd July 2016. 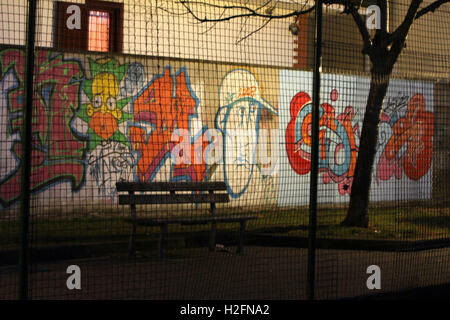 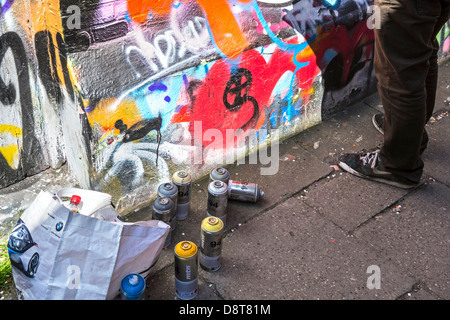 Graffiti Artist in Halle Saale, Germany.